Planning the best video editing PC build or upgrade for the money to maximize your editing performance and productivity? We're all about gaming here at BGC, but if you're a content creator first and foremost (and gaming is secondary), you'll learn how to build the best computer for editing will explain everything you need to know to more wisely choose the right hardware components, which includes our latest recommended video editing PC builds for different budgets you can use as a point of reference for your new workstation setup. Grab a drink, get comfy, and let's begin planning your new reality as an editing pro. 1.1 Is Video Editing Demanding on Hardware? 1.3.2 What About Nvidia Quadro Cards? 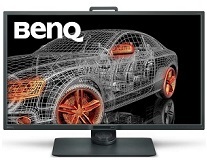 1.7.5 What's the Best Gaming AND Video Editing Monitor? 1.1 Is Video Editing Demanding on PC Hardware? 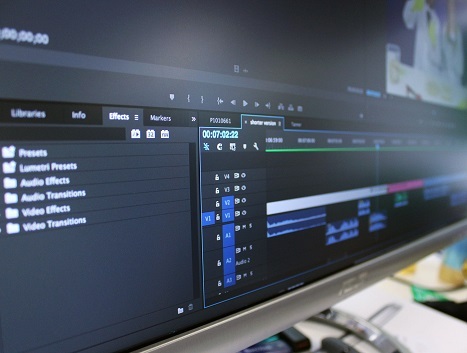 While most half-decent modern desktop computers can likely do basic video editing without problems and with fair performance, you'll have to step things up a notch if you're using industry-leading video editing applications such as Adobe Premiere Pro or others like Sony Vegas and you’re after the best performance you can get for your money for maximum productivity and workflow. These software programs require fairly powerful PCs for super-smooth, flawless performance to avoid having to waste your time waiting around for tasks to load, and the higher the video resolution you'll be working on and the more demanding visual effects you’ll be doing, the more powerful your PC will need to be to keep up. Building a PC allows you to get the exact type of editing performance you're after for the specific application/s you'll be using, and maximizes your money spent while also avoiding overspending on parts or features you don't need. Keep in mind that since video editing software can be quite taxing on your hardware components, a PC built with video editing in mind will likely double up as an excellent gaming computer as well, assuming you still pick a decent gaming video card for your setup. All our recommended video editing builds at the end of this guide have good graphics cards suitable for good gaming performance. Yep, you probably already guessed it; in most cases your CPU is the single most important component when it comes to a video editing PC build (though there is an exception which we'll explain below). When putting together a gaming-optimized build, the graphics card is the most crucial component with the CPU being second, but when it comes to video editing performance it's the other way around. Video editing applications don't render amazingly complex 3D worlds like your favorite modern games and instead rely heavily on the power of your computer's brain, AKA your processor / CPU. Modern video editing software programs benefit greatly from fast CPU clock speeds, and especially from multiple cores and threads as there’s generally a lot your CPU has to process at once when running these programs. In general, the more cores and threads the better, and the bigger the resolution you're editing in the more important your CPU choice becomes. With a slow processor, performing tasks in video editing programs is going to be frustratingly slow, reducing overall productivity, so it would be wise to invest a decent chunk of your overall computer budget in getting the fastest CPU you can get your hands on. So, the question remains, which CPU should you get for video editing then? In general you don't want anything less than a quad-core (4 cores) otherwise you'll likely see slowdowns, especially with highly compressed footage such as AVCHD, DSLR, Drone or GoPro film. Let’s dive into specific CPU recommendations for different price tiers. 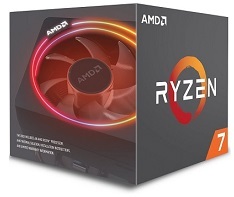 For those on a budget looking to get a capable-enough processor for fast editing without breaking the bank, getting an AMD Ryzen 5 1500X or the more powerful, recently-released AMD Ryzen 5 2600 are excellent value for money choices to consider. For being fairly affordable, the 2600 has a handy 6 cores and 12 threads which is impressive and provides excellent content creation and multitasking performance for the price. With a CPU of this caliber, which we consider a "cheap/budget" option for editing yet would be considered an excellent CPU for gaming, you can expect to edit videos in 1080p resolution nice and smoothly, as well as being good enough to edit in 4K without too many issues (although ideally for 4K editing you'll want a Ryzen 7 or equivalent Intel CPU if you can afford it). These AMD CPUs are all unlocked (meaning, overclockable) and quite easy to overclock as well to crank out a little extra 10% or so of performance for free. If you do plan on overclocking, make sure to get your hands on an aftermarket CPU cooler, especially if you'll be really pushing it. Otherwise, if you're only doing light overclocking or keeping it at stock speeds, the stock "Wraith Spire" cooler that comes with the 1500X or 2600 will do just fine as it's actually a fairly good quality one (better than Intel's stock coolers at the moment anyway). For the next step up in video editing performance, I would seriously consider the AMD Ryzen 7 2700X or the Intel Core i7-7700K. Both offer excellent performance across all video editing software programs, as well as being seriously capable gaming CPUs too. The Ryzen 7 2700X is a powerhouse with 8 cores and 16 threads and will excel in multi-threaded tasks, and the included Wraith Prism cooler is one of the better stock coolers you'll see (with cool LED). The i7-7700K only has 4 cores and 8 threads, but it makes up for that with faster single-threaded performance than the Ryzen, which slightly wins out for those primarily using Adobe Premiere. Both are top choices for a good video editing PC build though. If you're willing to invest in a heavy-hitting extreme CPU for your video editing PC build that doesn't compromise on performance, the next tier of CPUs I would recommend would be the AMD Ryzen Threadripper 2950X, the Intel i7-7820X, and the Intel i9-7900X which are all amazing workstation processors that'll dominate (they had better for their price, right) and have you flawlessly editing and rendering high-res 4K video with super-fast video transcode, 3D effects and image stabilization. Again, like the previous tier it's hard to split AMD and Intel as they both have great options in the high-end, however if I had to pick one I'd go with the 2950X, especially if you'll be doing heavy multitasking, as it has a superior core and thread count to competing Intel chips (16 cores and 32 threads compared to the i7-7820X's 6 cores and 12 threads and the i9-7900X's 10 and 20). Going even further down the rabbit hole of editing performance, for those who have an unlimited amount to invest in a monster build for lightning-fast editing productivity in high resolution, the Intel Core i9-7980XE and AMD Ryzen Threadripper 2990WX are two of the best video editing CPUs on the market right now. I hate to say to sound like a broken record but again it's neck and neck between AMD and NVidia, and for the very heavy multitaskers among us the Threadripper will likely be your better friend with a massive 32 cores and 64 threads (no typo). As for those wondering about workstation CPUs such as the Intel Xeon CPU range; it's generally not recommended for most people, even super picky editors, and don't represent good bang for your buck overall when compared to consumer CPUs. In the past they used to be an ideal solution for video editing programs, but hardware has changed a lot in recent years and a normal, single CPU is better value for money for the far majority of cases and so unless you have good reasons to go for a Xeon setup (ie your boss wants you to drop many thousands on your editing setup) then just stick with a fast, standard chip like the ones we’ve just mentioned. As we mentioned before, the importance of having a good graphics card generally pales in comparison to having a good CPU when it comes to optimizing a PC primarily for video editing performance. However, that's not to say your graphics card choice is not important, and a good card definitely helps with video editing in certain areas. However, the exception that turns this logic on its head is for those who'll be using DaVinci Resolve, a popular alternative to Adobe Premiere Pro. This particular program is actually entirely driven by the graphics card and so in this case your choice of card is absolutely crucial and you should actually aim to spend more on your graphics than your CPU; just like with a typical gaming rig. Serious DaVinci Resolve users will essentially want to get their hands on the most powerful graphics card they can get; multiple graphics cards in SLI are also worthy of consideration for extreme users with plenty to invest in a top system. But for those using the majority of video editing software applications such as Adobe Premiere Pro, your graphics card choice doesn't matter anywhere near as much as your CPU, and you could actually even get away with using integrated graphics (provided by certain motherboards and CPUs) assuming you’re not often using GPU-intensive special effects. However, while not necessary directly for the majority of video editing tasks, if you can afford it getting at least a moderate-power dedicated graphics card can help performance in certain areas. 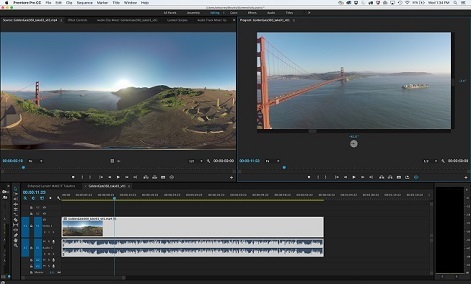 Premiere Pro and other programs do actually utilize the graphics card for certain tasks. This is called hardware acceleration, where your graphics card performs certain tasks instead of the software (which means; your CPU). For example, a good graphics card will improve the time it takes to encode a video, and it can increase the amount of your timeline that you can view without having to generate previews first, among other tasks. Plus, a graphics card with more VRAM (video memory) would actually help out quite a bit when it comes to editing high resolution projects. But overall, the more powerful the graphics card the more diminishing returns you'll get for your money when it comes to programs like Premiere Pro, and a moderately powerful card is all that most users would likely need. One thing to note for those using Premiere Pro (we talk a lot about this software because it's so popular) is you should favor getting a NVidia graphics card instead of an AMD graphics card. The CUDA core feature that comes with modern NVidia cards are known to be effectively used by Premiere Pro for hardware-accelerated tasks (as in, tasks that the graphics card can directly process to take the load away from the CPU), although it's likely not a huge difference and so don't fret if you're going for AMD. Also, when choosing a graphics card for your video editing machine don't forget to consider what type of gaming performance you also want out of your rig. Modern gaming is taxing on the graphics card, even more so than your CPU, and so if you want to run the latest games smoothly then you have no choice but to get a solid graphics card. This is even more important if you'll be gaming in higher resolutions. Lastly, don't forget to download the latest drivers for your graphics card from the manufacturer's website after you've built or upgraded your PC to guarantee the best performance and reliability. As mentioned, your graphics card is not as important as your CPU for video editing (unless you're using DaVinci Resolve where it's the other way around), but a good one can help in certain situations and plus if you want your PC to double-up as a decent gaming rig as many of you will want then you don’t have a choice but to at least include a moderately powerful card. For editing videos in 1080p, getting a popular low to mid-tier card such as the NVidia GeForce GTX 1050 Ti is all the power you really need, and it'll allow you to play modern games well too. It comes with 4GB of video memory which is plenty for 1080p. If you're a standard Premiere Pro user and not doing any crazy effects, you could even go lower than the 1050 Ti to save some coin if you don't care about gaming performance, and put that extra money into your CPU. For high resolution editing such as 4K, on a budget the GTX 1060 6GB is a great choice and packs a real punch, with the GTX 1070 8GB or GTX 1080 8GB being even better but not necessary at all for most video editors. For Adobe Premiere Pro specifically, I can't suggest anything over a 1060 unless you know you'll benefit from it, or you want great gaming performance. As for DaVinci Resolve users, you'll want to consider powerhouse cards such as the 1070, 1080, 1080 Ti, or the Titan X for the best experience. For the uninitiated, NVidia has a range of workstation-tailored graphics cards called Quadro, however for most video editing purposes 9 times out of 10 you're better off avoiding them and sticking to standard GTX cards. Powerhouse cards like the 1060, 1070, 1080 and the Titan X are more than powerful enough, and plus with GTX cards you're also doubling up your PC as a gaming rig; most Quadro cards aren't well suited for gaming. However, as usual there are exceptions to the rule, such as high-end power users working with really intensive and large Adobe After Affects projects or high-end color grading of large format/codec files that require a crazy-ton of rendering power. For those cases, you might consider a Quadro over a GTX. But for the most part, whilst Premiere Pro may run certain specific tasks slightly faster on a Quadro, the added cost is not worth it for most people and a GTX is just fine. RAM (memory) is most definitely an important piece of the puzzle when building a workstation PC for video editing. While gaming sees diminishing returns for large amounts of RAM, video editing software takes advantage of that extra memory and so in general the more the merrier. For 1080p video editing you should aim for an absolute minimum of 8GB, with 16GB being recommended. 32GB is the best choice. 8GB or less will negatively impact your editing workflow as RAM really is that important for this type of work, so do yourself a favor and do whatever you can to get 16GB. For 4K video editing, you want to aim for a minimum of 16GB, with 24 or 32GB being ideal for the best performance. 64GB will future-proof your system and offer the absolute best possible performance if you have the budget for it, but you can always get 32GB now and upgrade later (make sure your motherboard has the slots and maximum RAM capacity for this). Anything more than 64GB is generally overkill for the majority of cases. As for the type of RAM, you'll ideally want to stick to the latest type which is DDR4 because it's the new standard and will future-proof your machine. When it comes to the speed of the RAM, which is measured in Hertz, it honestly doesn't matter anywhere near as much as the amount of RAM as there's only a fraction of real world difference between RAM speeds. But it all adds up, so aim for the fastest speed of RAM that you can get, especially if you're building a high-end system; might as well get 3000 Mhz or higher. But if you're looking to keep spending as tight as possible and you're thinking of opting for the cheapest speed available such as 2133 Mhz RAM, don't fret as that's totally fine so long as you stick to the above guidelines for size. Same thing goes for dual channel, triple channel or quad channel; it's hardly important in the grand scheme of things for the majority of video editors out there. Picking a motherboard for a video editing rig isn't much different to choosing a motherboard for a gaming PC, and while it's not going to affect performance there are a few certain considerations worth nothing. First of all, while most modern motherboards should have this covered, make sure the board you select has USB 3.0 support. Furthermore, don't forget to check for super-fast ports such as Firewire or Thunderbolt if you plan on using those mediums for your storage devices (we'll get to storage next). Speaking of storage, if you're using multiple storage drives, which is common for video editors as they can require a hefty amount of space, you'll want to check your motherboard has the required amount of SATA connections to accommodate all your drives. As for sound, many modern motherboards come with very good quality integrated audio these days, and so for most video editors it'll be all you need. However, for those who will be doing in-depth, complex sound editing, you'll want to consider getting a dedicated internal sound card or a USB DAC (basically an external sound card) hooked up to studio-quality headphones. We won't be discussing audio further in this guide, and we'll simply use motherboard on-board for our upcoming sample builds, as most video editing purposes don't require professional-level sound. Lastly, when it comes to picking the best motherboard, since RAM is such a crucial piece of the puzzle for editing you'll want to triple check your board's memory capabilities for your RAM setup now and into the future. Make sure it supports the speed and size you're initially going for, as well as the capability to support more RAM than what you’re initially getting so you have the option to upgrade later. As mentioned before, RAM is crucial for video editing. Storage devices are another important thing to consider when building a PC for video editing, but there are many different options out there so it can be confusing to know how to best proceed for your particular editing requirements. Here we do our best to cover the important factors to consider to help steer you in the right direction. Ideally, in this day and age you'll want to have a Solid State Drive (SSD) as your main drive to install your operating system and video editing applications on for the fastest loading of these programs. You don't absolutely need an SSD, and if you're on a tight budget it's not recommended as they're a lot pricier than traditional hard drives, but it's highly recommended investing in at least a small one (120GB – 240GB) to throw your operating system and your video editing suite of tools on for the fastest loading possible. High-end users will also want to consider M.2 drives, which are the absolute cream of the crop when it comes to speed. Expensive, yet worth it if you want maximum productivity when loading up your favourite programs. Then, as well as your main system drive (ideally an SSD), you'll want to store your footage and other files on its own larger storage drive/s, which will likely be the traditional kind (HDD) as large SSDs are just too costly for most people. If you do go the much more cost-effective route of getting a HDD/s for your footage/files, aim to get one with a speed of 7200 RPM hooked up with either USB 3, SATA or even Thunderbolt so it's still relatively quick. If you’re lucky enough to go the SSD route for your project files instead of a slower HDD, and you're working with large, raw footage, getting a M.2 SSD makes a lot of sense if you can. An M.2 SSD will export faster and greatly increases the chance that you'll be able to play your timeline live without needing previews. Whatever you do, avoid having your operating system, software and media files all on the same drive; doing so will slow your system down. You always want to have your media files separate on dedicated drive/s. If you're working with uncompressed, raw or lower compression footage like ProRes 422 for example, you also have the option of setting up a RAID system. For the uninitiated, RAID is short for Redundant Array of Independent Disks and it groups together multiple hard drives. Traditional hard drives in RAID setups will typically work faster than a single SSD when it comes to video work. Discussing RAID further is beyond the scope of this guide, but if you're a high-end professional user, do your research as it may be either beneficial or thoroughly needed for your particular editing workstation. For most people though, a basic SSD and HDD/s combination will be more than enough. One thing we will say about video editing and RAID is that you should avoid setting up a single RAID 0 as your system drive and media storage; if you go the RAID route you'll want the RAID array for your video files and not your OS/software. How Much Storage Do You Need as an Editor? There is no simple answer to this question, as every editor has different requirements. A general rule of thumb that professional editors have used often in the past is you'll need at least twice the amount of space it takes to store your source media files in order to get you through post. Bump that up to 3 to 4 times more if you're having to transcode footage, have a lot of renders to produce (for feature films etc), or you're working with a lot of special effects. You'll need much less storage space if you're shooting live footage and uploading it online because you're likely to have far less renders, and those renders will likely be highly compressed. Plus, you may not even save the source files either. At the end of the day, always aim to get more storage than you think you'll need just in case. There's nothing worse than running out during a project. With all this talk about hardware for video editing, you mustn’t forget about your display as it may be one of the most important parts of a video editing computer setup. As an editor you want a high-quality monitor to clearly visualize changes you make and to see video in clear, crisp detail with accurate colors and effects. For example, if your monitor doesn't produce high-quality colors then it can make your editing job a whole lot harder. Simpy put, a good monitor is a must for video editing purposes, so let's look at the factors to consider when choosing your monitor such as panel type, color accuracy, and considering multi-monitor setups for better productivity. The first thing to think about is getting dual monitors which can really amplify productivity. Most pro editors who begin using dual monitors will never ever go back and will wonder how they coped with just the one measly screen. With two screens you could stretch your video editing timeline across the bottom of both screens and have a lot more windows open at the same time, which means less time opening and closing windows or scrolling around the timeline etc. Dual monitors are a must-have feature for any serious video editing rig looking to maximize productivity, and Adobe, Sony and Avid all have optimized pre-set screen layouts for two monitor setups. Also keep in mind that instead of getting multiple displays you could opt for an Ultrawide Widescreen monitor instead, which has an aspect ratio of 21:9 instead of the standard 16:9. It could work out cheaper than getting two monitors, and may be enough screen space for your needs. Also, check that your video card supports dual monitors, but most modern cards should. The next thing to consider when choosing a monitor for video editing is the panel type. The most common and economical is a TN panel, but these have certain disadvantages such as lower quality color accuracy and more limited viewing angles, which are fairly important specs for editing. IPS panel monitors, or variants such as S-IPS, E-IPS or H-IPS, are better suited for video and photo editing because their color accuracy and spectrum is superior, and they have larger viewing angles. Aim to get an IPS screen if your budget allows. Another thing to look at is the panel coating and whether it is matte or glossy. With glossy panels the colors typically look slightly more vivid, sharp and higher quality than a matte display, however their potential downside is their reflectiveness; not a good idea in a brightly-lit room. So make sure to get a matte panel monitor to avoid glare unless you’re working in a dark room all of the time in which case either style could work for you (and comes down to personal preferences). However, working in a dark room all the time isn’t ideal as that can lead to some serious eyestrain. Another consideration for your video editing monitor/s is the size and resolution, with larger sizes and resolutions being ideal as you can multitask more and have better attention to detail. For a solid video editing experience you really should stick to a 24 inch display or larger, with a minimum resolution of full HD (1920 x 1080p). You don’t want to be squinting at the screen trying to edit detailed videos or photos. Monitors also come in 1920 x 1200 resolution, which is a tad bigger than the typical 1920 x 1080, and gives you a nice little extra vertical space to work with; find a monitor that supports this if you can if the price is right. Bigger resolutions such as 2560 x 1440p and 4K are even more ideal for video editing, as you’ll have a lot more screen space and detail to work with. Plus, if you're editing 4K resolution videos or images, a 4K monitor will be necessary to view and edit these files properly. The color spectrum, technically called the color gamut, is the range of available colors your display can produce. For basic video editing purposes this isn’t something you should lose sleep over, however serious video editors should most definitely get a monitor that has as wide of a color gamut as possible, with 100% coverage of sRGB a must, and 99% coverage of Adobe RGB being even better. Chances are if you're reading this, you're also a gamer as that's what we're all about here on this site, so you may be wondering which monitor would be best for both video editing and gaming? Well, first of all, most of the above recommended video editing monitors aren't ideal choices as a serious gamer, but may be suitable if you're aware of certain nuances and don't mind them. 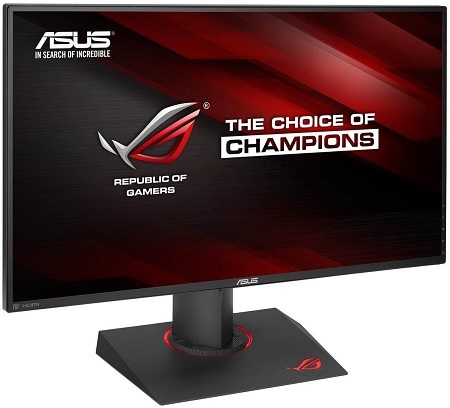 For example, the Asus above has a 16:10 aspect ratio, which is slightly taller than standard 1080p resolution, but that's fine for gaming as most games support this. The odd game or two may not, but in that instance you won't have issues as you'll simply see black bars on the top and bottom of the screen, or you can just change the resolution to 1080p for that game. As for the response rate, which is an important factor when choosing a good gaming monitor, this screen has a 6ms response rate which is average overall. Fast enough gaming, but ideally you'll want 5ms or lower especially if you're playing fast-paced games like FPS's. The following builds also double-up as capable gaming computers too, as they all contain good dedicated graphics cards, but if you want the best gaming performance you should consider investing in slightly better cards than the ones listed here as video editing doesn’t require that much GPU power and so we’ve gone for moderate cards with these builds (to allocate more money towards the CPU which is typically the most important component for video editing). Use these builds as a starting point for your research, but always consider the specific software and tools you're be running and any specific needs they might have when tweaking your parts-list, and also don't forget to always double check for compatibility between all your parts. This first cheap video editing PC build example is for those on a tight budget who still want to put together a fast enough machine for good, fairly-fast editing in 1080p resolution. Editing 4K video fairs ok with this setup, and is runnable, but it’s far from ideal and you’ll want more grunt for 4K editing. 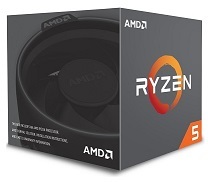 Anyway, for the cheap video editing PC build, the Ryzen 5 2600 is a great value for money CPU for video editing on a budget and has 6 cores and 12 threads which really comes in handy for editing and multitasking performance. As mentioned in our guide to choosing a CPU for editing earlier, this processor comes with a stock cooler that’s good enough to keep it running cool and quiet (if you’re not overclocking, although it would still be okay for mild Ryzen overclocking). On the Intel side, an i5-8400 will serve you well as a decent entry-level editing processor, but go for the i5-8600K if you want to overclock now or later on (and get a cooler for it as the 8600K doesn't come with one; the 8400 does, though). We’ve included 16GB of RAM which is our recommended baseline for fast video editing performance, although you could theoretically get away with just 8GB if your budget is super-tight. The GTX 1050 2GB graphics card is basic when it comes to the gaming world, but more than enough power for typical video editing software and use, especially when you’re looking to minimize costs as much as possible. However, as mentioned in our GPU section, if you’re using software that relies heavily on the GPU such as DaVinci Resolve, you’ll want to get something better such as a GTX 1060 6GB, which is the minimum card we can recommend for that particular program. To round off our recommended cheap video editing PC is a decent-sized SSD as your main drive, a large HDD as your secondary storage drive, and a good-quality display in the Asus PA248Q 24" ProArt IPS which is a great pick for editors. Moving on up to our mid-tier selection of suggested parts for video editing, this build is absolutely flawless for 1080p editing. As for 4K, it does a fairly decent job and could be considered as a budget-friendly 4K editing machine. Improvements over the best budget video editing PC build are a faster processor, a better motherboard with 4 RAM slots, a slightly better video card, and a better quality, larger, ultra-wide (helps with viewing that timeline) IPS monitor. Dual monitors is the ideal solution for workstation builds, however getting an ultra-wide monitor such as this one is the next best thing. For DaVinci Resolve which requires more graphical grunt you’ll ideally want to upgrade your graphics setup to the powerful GTX 1070 8GB (or newer RTX 2070 model) if at all possible, or the GTX 1060 6GB at the very least if the 1070/2070 stretches your budget too far. This PC is excellent for both 1080p and 4K editing, and any other demanding workstation tasks, and features the powerhouse Intel i7-7820X which comes in very handy for video editing and especially for Adobe programs (Intel generally wins in that regard). Ideally you'll couple this processor with a high-end liquid cooler such as the H110i to keep it running as cool and quiet as possible, and we’ve listed a huge 32GB of RAM to leave nothing to chance when it comes to flawless editing and multitasking. 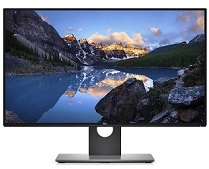 Monitor: Dell UltraSharp U3415W PXF79 34"
Then there’s the large 500GB M.2 SSD for the fastest speed possible for your OS and important applications, a huge 4TB HDD for your data (of course, you may need more/less), a solid GPU in the 1060 that’s more than enough for Adobe, After Effects, and other popular programs (and great for gaming), and a seriously good quality ultra-wide 34 inch IPS monitor to boost productivity. Again, as mentioned with the previous build, DaVinci Resolve users who want to make the most of that program may want a better graphics card such as the GTX 1070, or even the GTX 1080 or 1080 Ti (or the newer RTX 2080 or 2080 Ti) if you’re after the best possible performance in that particular program (and for elite gaming performance). A PC like this is enough to please the majority of amateur and professional video editors, with the immense power of the final upcoming “extreme” build only recommended if you know you’ll benefit from such a heavy investment. Now we get into ridiculous performance territory for those lucky few who want to leave no stone unturned in building the ultimate editing workstation (without getting into low-value-for-money generally-overpriced workstation-level processors like Xeons). 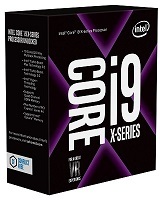 The cream of the crop i9-7900X will tear through literally anything you throw at it and make 4K editing an absolute breeze, or the 2950X will monster through both editing and heavy multitasking should you have the budget for it. You have 64GB of RAM, with the suggested X299 motherboard supporting up to 128GB, so make sure you get 2 x 32GB sticks so you keep 2 other modules free for another 64GB down the line (or now) should you want to. For editing we can’t recommend anything more than 64GB though (even 32GB is more than enough for many). Again, as mentioned with the previous build, DaVinci Resolve users who want to make the most of that program may want to consider an even beefier graphics card such as the GTX 1080 or 1080 Ti (or newer RTX 2080/2080 Ti models) if you’re after the best possible performance and you know your workflow will benefit from the extra GPU power (or if you're gaming in 4K). 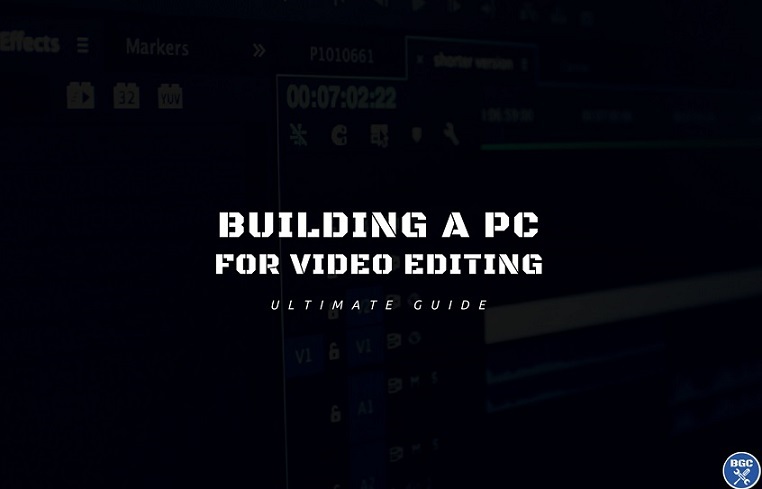 That wraps up the complete guide to building the best video editing PC in 2018. See our full tutorial on how to build a PC from scratch when you're ready to put your parts together (it's a walk in the park these days and simply a matter of following instructions), and if you want further help choosing optimal parts for an editing build and want expert help, we do offer a Personalized Parts-List Service for anyone who wants us to give your specific build our undivided attention to thoroughly research the right parts for your budget and specific application needs. Lastly, our aim is to keep our buying guides as accurate and helpful to builders as possible, so should you have any feedback (good or bad), suggestions, or questions, do let us know. We're all ears. Thanks for reading and happy editing.